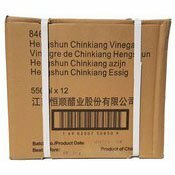 Description: Heng Shun Chinkiang Vinegar has a ddp almost smoky flavour. 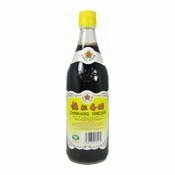 It works well in braised dishes and as a dipping sauce for dumplings and seafood. 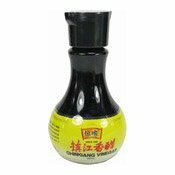 It can also serve as a substitute for balsamic vinegar and may be used in salad dressings as well. Ingredients: Water, Glutinous Rice, Wheat Bran, Salt, Sugar.